Indianapolis, IN (March 2016) It’s only Rock N Roll, but we like it. Well actually it’s GreenLight products at the House of Blues, and we love it. If you feel like seeing a concert, enjoying some classic southern style food and shopping for GreenLight models at the same time, then the House of Blues is the place to be. The legendary venues have been featuring GreenLight’s Blues Brothers collection since last year and will continue to do so in 2016. 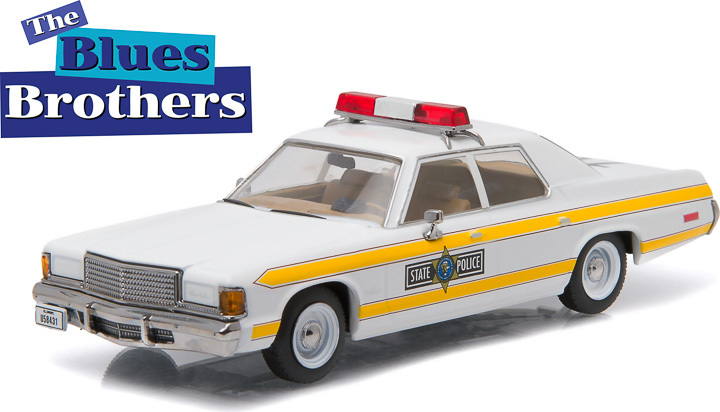 The popular 1974 Dodge Monaco Bluesmobile in both 1:64 and 1:43 scales will be available. 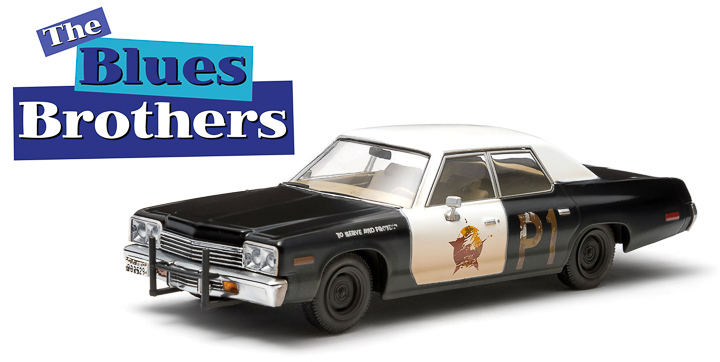 This year look for the 1:43 Bluesmobile with the horn attached to the roof, exactly like the 1980 movie. 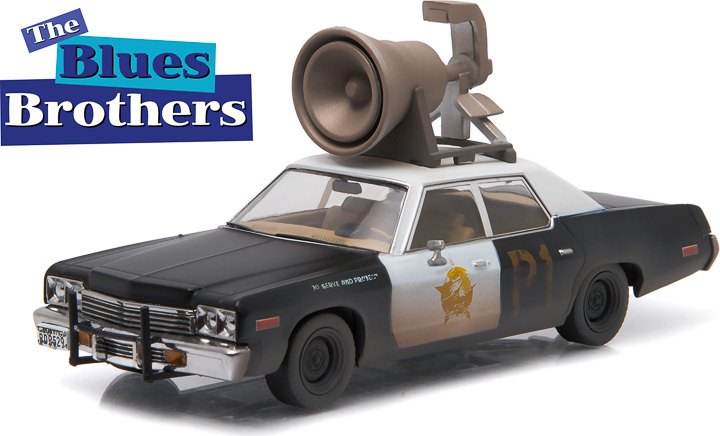 1:43 Blues Brothers - 1974 Dodge Monaco "Bluesmobile"
Founder Isaac Tigrett had a special affinity for rural Southern music thus causing the House of Blues to become the home for popular musicians over the years. The first location in Cambridge, Massachusetts was opened in 1992 on the site of a historical house that was converted into the blues restaurant and concert hall. With the help of Dan Aykroyd, John Candy and other notable investors, Tigrett was able to launch the franchise and grow into one of the most successful music venues of all time. It has since grown to twelve locations in some of the nation’s biggest cities such as Chicago, Boston and Las Vegas. Live Nation acquired the company in 2006 and now operates as the parent company. The House of Blues likes to give back to their communities by opening the doors a bit early on Thanksgiving Day in order to feed the homeless before opening to the general public.